There is a growing trend toward using organic products versus manmade, synthetic products in the garden industry. Today, many consumers are more educated and aware of the benefits of more natural solutions to common garden problems, rather than to rely on the quick fix of a synthetic product. Chemical companies are responding by offering more eco-friendly products than ever before. When you walk into a garden center you will find a host of newer natural and organic products to help control insects and diseases right next to the old standbys. Some synthetic pesticides are being phased out due to increased government regulations and others are not available to homeowners anymore. So how do you know what to buy for your problem and does it really work? And are organic products really safer? First of all, there seems to be a misconception that all organic products are safe. While in most cases this is true, keep in mind that the definition of “organic” denotes a compound that contains a carbon molecule. Arsenic and lead meet this definition and yet are very toxic to humans. You still need to read the product labels, use the products as directed, and follow the safety procedures—organic or not. Garlic works by repelling insects, not killing them. 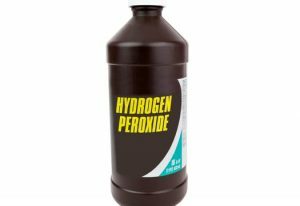 It is mixed with water and sprayed on plants, and is absorbed into the leaf tissue where it can remain effective for up to 30 days. It works well at repelling mosquitoes, bees, flies, ants, spider mites, and other flying insects. Do not use it on plants that need bees to pollinate them, i.e. vegetable gardens. Derived from the neem tree, neem oil has many medicinal purposes and is well-known for its natural resistance to insects. It works by repelling insects, prohibiting eggs from hatching, and interfering with insects’ molting process. It works against a wide variety of chewing and sucking insects. It also has anti-fungal and anti-bacterial properties that can fight disease. 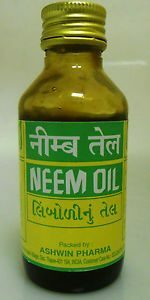 Neem is known to be effective on blackspot for roses and white flies. These kill on contact and repel nematodes, fungi, insects and slugs. They work well on grubs and harmful nematodes. This extract is from the chrysanthemum plant and is used in many products. It works by killing insects on contact. It has a low toxicity to humans and animals, and controls a large variety of insects. It is a common ingredient in flea collars. DE is ground up seashells and is harmless to humans. It works because its abrasive form breaks down an insect’s outer defense and then causes desiccation due to its highly absorbing qualities that dry up an insect’s bodily fluids. It is effective against ants, cockroaches, plant bugs, aphids, caterpillars and many more. Work by attacking grubs and other insect larvae in the ground. They are a parasitic organism that can survive for many years in the soil without a food source. Beneficial Nematodes work very well against grubs and black vine weevils. Works by suffocation, just like horticultural oils. The advantage is that it is not petroleum-based and it contains many beneficial nutrients and vitamins that break down to fertilize the plant. These are great for accidental gas or oil spills on property. These microbes actually eat petroleum products and convert them to harmless carbon molecules. Anti-fungal and anti-bacterial; it can be used against a wide variety of pathogens including Phytophthora. Another anti-fungal and anti-bacterial extract, it can be used against a wide variety of pathogens. It works as a barrier preventing diseases from getting started on plant foliage. Kills fungus on contact, literally melts the spores into jelly, then breaks down in the soil and releases oxygen. Works well on powdery mildew. A disadvantage is that it is very corrosive to metal. Can kill some soft-bodied insects like aphids and is used to repel others. It is also used to deter rodents and deer from gardens. It is safe but use with caution because it can be an extreme irritant to skin and eyes. A fungus that attacks grubs, that works well and has a long residual in the soil. It works so well that the company almost went bankrupt due to the lack of need for repeat sales in the 1950’s. A soil borne fungus that colonizes the roots of plants and prevents many soil pathogens from attacking the plant they are growing on. Works well against fusarium blight on lawns and many others. It is great for preventing disease in seedling production. Steve Turner, Certified Arborist, is from Arboricultural Services in Fenton, MI. He can be contacted at wecarefortrees@gmail.com.